Are you maximizing your productivity? 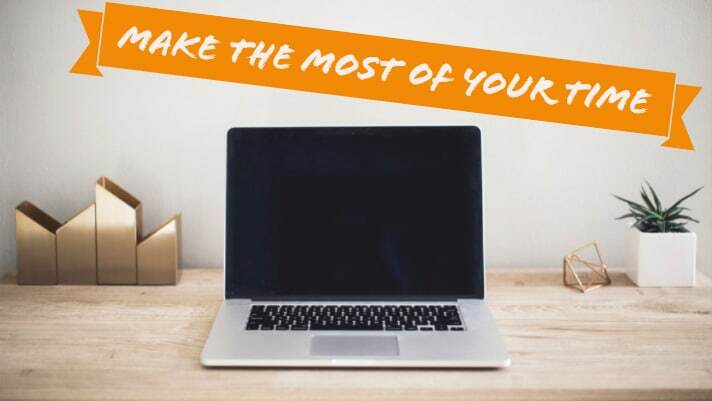 How often do you feel like you could squeeze more out of your work day? If you’re like me, then it’s a probably pretty often. We are always trying to find the right tool or technique to help with organization or procrastination. As a result, people realize they aren’t machines. We can’t always download some magical app and instantly become the most efficient workhorse of all time. It takes a little time, patience and a desire to learn. The people who desire to become better are the people who come out on top. Lat-Lon has the tools to improve your quality of life and increase your productivity. Our easy to learn software combined with the top of the line rugged hardware will in fact make your day more productive. Spend less time worrying if your cargo is going to get somewhere, and more time on developing way to make it get there faster. As a marketer, the technology that changed my life, and my perspective on productivity was google analytics. In a field where most of my work is to create content and to make things look nice; traffic statistics and click rates are sometimes far from the mind. When I truly learned how to interpret the data and the correlation it had to my workflow, my life became exponentially more productive. It wasn’t about reinventing the wheel every time something failed, it’s about finding what works, and how to maximize the output. Here at Lat-Lon we strive to make our customers lives easier. Our products are designed to give you all the necessary data to maximize your productivity. Imagine that you’re a rail fleet manager who can’t understand why some lines never seem to get out of a yard on time. How do you find out where your assets are without calling a yard and hoping to find an answer? With our user-friendly Web-based software, you can easily see exactly where your train is, how long it has been sitting, and a whole lot more with our customizable sensors. "But I already have fleet management software"
We love that! It means you are well on your way to maximizing your asset potential. Our products can easily report to your current software and give you the data to push your assets to where they need to be. Lat-Lon, LLC (“Lat-Lon”), a subsidiary of BSM Technologies Inc. (TSX: GPS), announced today the launch of its new 15K Hazardous Location Solar Tracking Unit (“STU15K-HL”) hardware device. The STU15K-HL is the latest version of Lat-Lon’s most popular tracking and monitoring hardware device, specifically designed to withstand hazardous conditions. Upgrades to the STU15K-HL include the Lat-Lon certified category one 4G modem with 3G rollback, extended power capabilities for longer life in the dark, and enhanced geo-item options. Decreased power draws results in more frequent reporting on location and sensor data from the STU15K-HL. In addition, impact and wireless sensor options continue to be available on the STU15K-HL. What is a Hazardous Location? “Hazardous locations are areas where flammable liquids, gases or vapors or combustible dusts exist in sufficient quantities to produce an explosion or fire. In hazardous locations, specially designed equipment and special installation techniques must be used to protect against the explosive and flammable potential of these substances,” as defined by Occupational Safety and Health Administration (OSHA) Publication 3073. The STU15K-HL is certified for Nonincendive Electrical Equipment for Use in Class I and II, Division 2 and Class III, Divisions 1 and 2 Hazardous (Classified) Locations. “The STU15K-HL enables our customers to receive more frequent messages on both locations and valuable sensor data. The tireless efforts by our engineering team allow Lat-Lon to offer the highest quality product to our customers for advanced reporting in hazardous locations. The chemical industry just gained a valuable tool to use for collection of data on their shipments” said Ms. Amy Boehm, Vice-President at Lat-Lon. The STU15K-HL can be used on tank cars and tank trailers to monitor conditions of hazardous material during shipment. It is the perfect tool for any container that needs Class 1 Div 2 monitoring. Founded in 1999, Lat-Lon, LLC, is located in Denver, Colorado and provides wireless GPS tracking and monitoring solutions for mobile or stationary assets. Lat-Lon’s key products include a solar-powered GPS monitoring systems (STUs) for railcars and trailers and a locomotive monitoring unit (LMU) that allows fleet managers to know the condition and location of their assets in near real-time. For further information, please contact Lat-Lon at 877-300-6566 or visit www.lat-lon.com. Lat-Lon is a subsidiary of BSM Technologies Inc. (TSX: GPS). For more information, please visit http://www.bsmtechnologies.com. The Toronto Stock Exchange has neither approved nor disapproved of the information contained in this news release. This week the Blog Crew is sitting down with Grant Dunbar, a product manager in the construction and rail verticals at BSM to dive into how companies within the industrial assets sector are leveraging the IoT (Internet of Things) to connect their assets. BC: Thanks for chatting with us today, Grant. GD: Absolutely, thanks for making time for me! I jump at any chance talk about telematics and the IoT; I’m admittedly obsessed with this topic. BC: Aren’t telematics and the IoT the same thing? GD: They’re related, but not the same. Telematics describes vehicular technologies and the sending, receiving, and storing of information via a cellular network link to the internet. It often includes location-based information and services enabled by GPS. The IoT on the other hand expands on that scope to include all things beyond vehicles. BC: Like smart home devices? GD: Exactly, only in an industrial setting the IoT connects construction vehicles, rail cars, and fleets using an internet-connected device that communicates location, power and fuel status, and usage metrics to one source. BC: Got it. Last week a post on the BSM site dove into the connected job site. That’s all IoT, right? GD: Yep! When you network data together through the IoT you have a 360 view of all your industrial assets, their data, and even remote-control options. Think fuel levels, remote on-off capabilities on construction sites, GPS data on rail cars, and so on. BC: Is it essential to have GPS enabled on your devices and vehicles before implementing an IoT solution? GD: It’s not essential but it’s certainly very common. Location is often a key data point when it comes to vehicles and movable industrial assets. What’s essential to IoT solutions is that your asset can communicate to the portal I mentioned earlier, so it absolutely must have an internet-connected device within it. Whether a delivery van, rail car, or a hand-held power tool, if it’s connected to a network you can generate value out of its data. But as both examples show, location is often a valuable data point to transmit. BC: Where else is the IoT being applied to industrial assets today? GD: Traditional fleet vehicles were early adopters of telematics due to the value of location data for route optimization. The IoT has blown that scope wide open, allowing us to include all types of industrial asset deployments, from a traditional taxi fleet to industrial assets such as hy-rail vehicles, heavy equipment, light stands, generators, and boom lifts on a job site. The other immense value of the IoT is the breadth of information that is now being collected. Asset utilization can now be measured as well as asset health. Measurements like how long an asset was on, how it’s being treated as well as its current fuel level, temperature, and fault code status provides specific actionable insights. This means efficient asset deployment, reduced cost of operations for our customers, and improved safety for their employees. BC: What if a company has different types of vehicles or assets in their fleets? GD: If there’s cellular or Wi-Fi connection, it can be connected to our portal largely through plug-and-play installations, but we’re no stranger to more complex or custom installs—in fact it’s something we specialize in. Many devices exist in a variety of sizes and are powered by a fixed power connection, battery, or solar and they are all eligible. Fleets with mixed assets usually have several device types, and with BSM technology they all communicate to the same portal to provide a unified window. BC: How do customers know which data to collect? GD: The right data is different for every company because it’s the data that solves a unique business issue within a specific industry, but usually focus on things like reducing costs or unlocking new revenue streams. BSM works with our customers to create custom connections to assets so they can solve what matters most to them. BC: What can customers do to get their fleets connected to the IoT? GD: Start now. The speed at which we’re innovating means playing catch-up down the road becomes more difficult. If you get your fleet connected to the IoT now, then you’re updating at the pace of innovation, not completely overhauling your fleet technology later on. How is Lat-Lon Connecting You to the IOT? As interest grows in advancing technology for transportation, the latest developments show significant incentives, and many articles stress quick adaptation. Over the past few years, content pieces have featured a few common themes: robotics (and artificial intelligence), virtual reality, and the Internet of Things (IoT). These technology developments have been influencing how different organizations operate and how they create products and services, individually and as a collective. It is the IoT that has had some of the most practical applications and benefits. Defined by Gartner, the IoT is a “network of physical objects that contain embedded technology to communicate and sense or interact with their internal state or external environment.”  This simplified explanation addresses a complex, interconnected system by identifying the two key characteristics of an IoT system: a sensor and a method for communicating the sensor’s data. 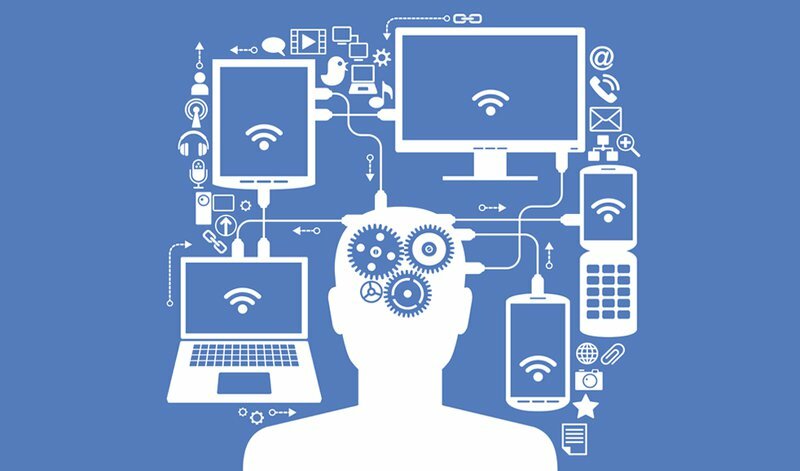 Basically, the IoT is composed of devices that gather information and the systems that make use of that data. As a result of its many applications, the IoT takes a variety of forms – and has already been integrated into professional and personal functions. For some types of connected devices, the sensors simply collect data and analyze it through a software solution, such as my smartwatch sending pedometer data to an app. I then choose how to use that data, to increase my steps, or accept my activity for the day. For other systems, the analyzed data is incorporated into a system that automatically takes action, such as purchasing a needed product or scheduling a maintenance appointment. The IoT is transforming business processes and efficiency in a wide range of fields. From smart agriculture using farming drones  to location- and behavior-based targeting in advertising , Internet-connected devices are making permanent changes in how these groups operate. 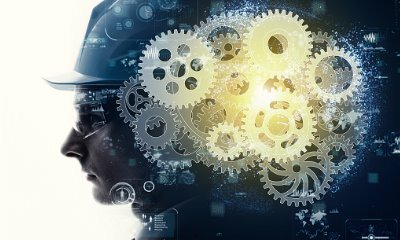 Solutions provided by IoT devices and software are being used to create improvements in more industrial fields, such as manufacturing, construction and transportation. In one case, a global manufacturer of trucks used the IoT to add a brand new, related revenue stream to their business. They have outfitted sensors to their vehicles that will transmit over 10,000 points of data for each truck every day — all focused on predicting the vehicle’s maintenance needs. Going beyond alerts to needed checks and replacements, this integrated system will also auto-schedule repair appointments and order any parts that the vehicle will need . By employing the IoT, the truck manufacturer was able to add to their profits while providing more services to their clients, saving them money and time in the repair process. On the production end, Internet-connected devices and analysis systems are being used to make improvements in manufacturing quality and efficiency. Harley-Davidson’s manufacturing plant in Pennsylvania uses the IoT to track both equipment and processes. With more detailed, data-backed insights into each step of their manufacturing system, the plant has seen huge benefits: productivity has increased by 2.4 percent and net margin received a 19 percent boost . The advantages for decision-making and process efficiency can be translated to nearly any industry. And service industries are not immune to the benefits of IoT for route optimization, better customer scheduling, and optimal inventory on hand for maximum utilization time on calls. The benefits of the IoT, reaching far beyond what is mentioned above, is significant particularly when it comes to improving current processes and products. Internet-connected sensors and devices provide greater visibility into every system with more precise data that has real-time relevance. From tracking inventory to making processes more efficient, this information can help industrial businesses adopt leaner operations and make better decisions. With the flexibility of Lat-Lon’s customizable solutions, the industrial IoT is attainable to all sizes of business and offers significant ROI catered to the particular enterprise. The industrial Internet of Things can also be used to improve safety, reduce downtime for maintenance, and control costs. At Lat-Lon, we embrace the technology that makes IoT fit your needs and help drive the industry forward. We want to pass on those advantages to each of our customers, allowing them to improve operations, make better informed decisions, and increase their bottom-line. Our solutions are designed to connect any industrial asset to the Internet, bringing that data together under one convenient platform. Specifically, our fleet and asset management solutions connect various sensors to turn their data points into reliable information that will improve fleet visibility. We also use IoT technology to offer tracking and monitoring devices as well as storage tank systems. Contact us today to learn more about how a partnership with Lat-Lon and BSM Technologies brings the advantages of the IoT to your firm. 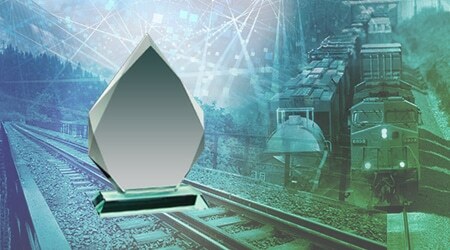 To publicly recognize how individuals and companies are working to raise the status of the rail industry, we unveil the annual BSM Technology Innovation Award. This year, we focused our selection on the utilization of the Internet of Things (IoT) in the rail sector. Specifically, we have chosen to honor an individual who continues to guide far-reaching changes, using the IoT, to advance the industry. After careful deliberation, we have selected Don Loftis, Principle Software Engineer and Rail Security Coordinator of Olin Corporation. Don is a frequent speaker and has helped shaped industry regulation with data-driven statistics on car coupling damage. He has been leveraging the IoT by merging data from diverse sources, free and vendor generated, for over a decade under the simple methodology that more data leads to better decisions. “We, at BSM, are impressed with how the adoption of technology in the rail industry consistently translates into significant tangible business results, ultimately advancing the industry as a whole as well as the communities in which we all operate. Now, more than ever, we’re seeing our industry leaders set themselves apart with creative implementations designed to address immediate and longer-term growth strategies. With our 20+ years partnering in rail we believe we’re uniquely positioned to recognize exceptional contributions via our Innovation Award,” comments Aly Rahemtulla, BSM President & CEO. We will be announcing the award winner, and details of their work shortly, so stay tuned for more information. The award will be presented on April 8, 2018 at the ASLRRA 2018 Connections. The American Short and Regional Railroad Show brings together railroad officials, rail suppliers and government officials that have vested interests in the short line sector. This year’s annual convention will be held in Nashville, Tennessee. BSM and Lat-Lon, who together deliver best-in-class IoT solutions for rail, will be present at booth number 1229. We hope to see you there and tell you more about how our solutions are integrated into databases, business practices and customer facing applications, enabling our customers, and their customers, to better manage their business. The Internet of Things (IoT) is rapidly changing how individuals live and work. 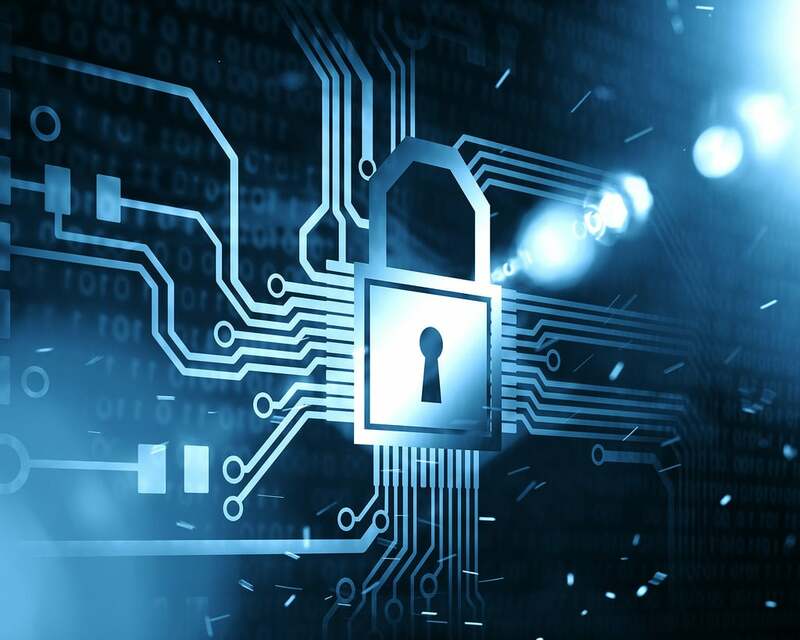 Its impacted your business regardless familiarity with the term or not, it’s used for the network of devices that gather information through built-in sensors and data shared via an internet connection. Connected devices provide a wide range of data types to optimize operations. For businesses, the IoT includes everything from location intelligence used by communications companies to monitoring wind turbines and tracking delivery vehicle performance. As the technology becomes more sophisticated, industries continue to find new ways to apply connected devices, with significant benefits. The IoT offers significant advantages for industrial fields as data retrieved from connected devices allow businesses to reduce costs and improve productivity. Actively monitoring maintenance needs and preventing work disruption, efficiency is the top byproduct. The IoT also facilitates leaner processes by tracking performance and usage of machines and materials to eliminate waste. Internet-connected devices and sensors can enable inventory tracking, assist to scale custom manufacturing, and detect anomalies in business processes. Business owners and employees can also use the technology behind the IoT to retrofit and connect old devices and machinery. Overall, connected sensors provide users with better data, allowing them to make better business decisions. One example of how the IoT technology is making beneficial changes comes from the transportation industry, where a global equipment rental company leveraged IoT devices and data to improve efficiency. By tracking performance and maintenance statistics in real-time, the company was not only able to reduce under-use of the rental equipment but also the time spent tracking that equipment by more manual means. As a result, the organization saved an estimated $10 million in revenue previously lost to waste. Today, BSM Technologies, with Lat-Lon, has announced its new BSM Technology Innovation Award. The award will recognize leadership and innovation in adopting Internet of Things (IoT) solutions in the rail industry. BSM & Lat-Lon, who together deliver best-in-class IoT solutions for rail, will be presenting the award at the American Short Line and Regional Railroad Association Connections Show (ASLRRA) in April of 2018. The winner will be recognized publicly at the ASLRRA show, prefaced by a press release and information brief on their significant contributions to IoT advancements and industry progress. “We, at BSM, are impressed with how the adoption of technology in the rail industry consistently translates into significant tangible business results, ultimately advancing the industry as a whole as well as the communities in which we all operate. Now, more than ever, we’re seeing our industry leaders set themselves apart with creative implementations designed to address immediate and longer-term growth strategies. With our 2+ decades partnering in rail we believe we’re uniquely positioned to recognize exceptional contributions via our Innovation Award,” said Aly Rahemtulla, BSM President & CEO. “All of us at BSM Technologies have great pride in our extensive solution portfolio, uniting all assets into one platform, and in our unique capability to deliver the right solution for our vertical customers,” adds Brendan Shaw, EVP Sales. BSM has undergone significant growth through the merger with Webtech Wireless and acquisition of industry leaders such as Mobi Corp, JMM, and Lat-Lon. The combined technology accelerates BSM’s ability to provide a single platform for all assets across various industries. Lat-Lon’s highly customizable rail products complement BSM solutions, key in the ELD (Electronic Logging Device) and HOS (Hours of Service) compliance space. According to the US Department of Transportation, “In 2013 the U.S. transportation system moved a daily average of about 55 million tons of freight valued at more than $49.3 billion”. 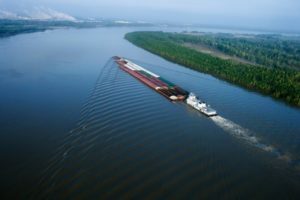 Water transport accounted for 808 million tons in 2013, with projections to increase to 1,070 million tons by 2040. This growth in Inland Marine Transport stresses the need for efficiency in freight transport, and IoT solutions offering safety, ROI, and ease of use are critical to make it happen. IoT statistics are astounding. According to Vision Critical, “in 2015, there were about 15.4 billion connected devices. According to IHS, this number will grow to 30.7 billion in 2020, and 75.4 billion by 2025.” And Intel’s forecasted 200 billion connected devices by 2020. B2B IoT devices will fundamentally transform the way organizations do business with other companies, and will impact every industry. For 2016, spending around the world for IoT $737 billion. IDC predicts that by 2020, this number will reach $1.29 trillion, a compound annual growth rate of 15.6 percent. GE claims IoT will add $10-$15 TRILLION to GDP globally by 2030. Over the years it has become a stereotype that GPS monitoring solutions are mainly installed due to security issues or to play “Big Brother” on their employees. In reality, these requirements have shifted and security is low on the list of requirements if it’s a requirement at all. I have heard many reasons why companies are interested in starting a telematics program. Although the requirements differ from business to business, one thing is always a static reason to why they are calling. I often hear, through several ways, they have a business problem. These business problems usually start from the idea that companies can do better. Better at manufacturing, transporting, protecting the integrity and brand of their product. In each phase of a company there are key metrics in which that process can be measured. If there is a fleet of assets involved in a phase of moving their product, this is where fleet telematics will play a part, operational efficiency. As data analytics platforms grow smarter there also grows a need for smart hardware with the ability to drive data from the field in a frequent and accurate fashion. GPS tracking and monitoring is not just a dot on a map it’s what you add to the dot and how you use the info to transform it into dollars. A couple of my favorite phases I have heard from customers are “we don’t know what we don’t know” and “You can’t improve on what you don’t measure”. These are my favorite quotes because they indicate that this prospect is screaming for more data and they are screaming to buy our products even if they don’t know it yet. There are a few ways that telematics products have changed over the last 10 years. Devices and data have become cheaper. Devices have become faster and more accurate. Data analytic tools have because more accessible and cheaper. Many companies pursue the idea of monitoring their fleet only to have the project lose budget at the final phase of the decision. Why? Because until a few years ago, telematics monitoring solutions were looked at as almost a luxury item. They were not needed but nice to have and the data was not used like it is today. Since this new era of smarter, more accurate and affordable telematic solutions have emerged, the value of telematics data has become general knowledge to any fleet/logistics operations professional. Historically, telematics systems have been used for individual exception reports, or manual case by case security reporting. Today, a broader picture is painted with big data in relation to operational KPI’s. Sure, if you recover a stolen asset or catch an employee stealing company time it saves money. However, if you can accurately measure the length of a delivery based on geo-location and door sensor activity, and can quickly cross-reference this data to all the other data you have collected in the last year; you now have a powerful tool to highlight positive and negative trends. These trends can be acted upon for a better bottom line. Having location itself delivers a large portion of ROI to telematics projects, however where location data has been integrated makes the big impact. Integrating location into dispatching software is growing in the transportation space. 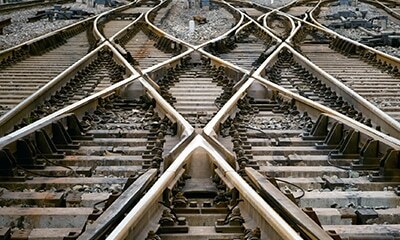 More and more companies in different verticals like Rail, Service and Construction are using integrated location into 3rd party business software systems. Things like asset utilization, production, billing and inventory have all been subjects of discussion and business challenges where a telematics solution has added a tool set to measure what needs to be improved.